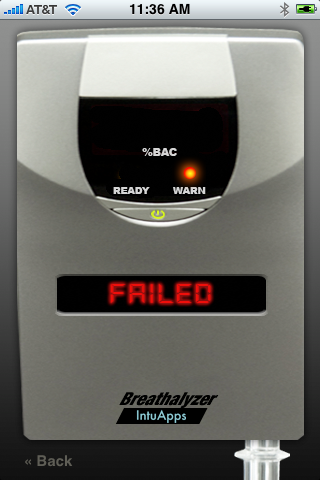 It is possible for the iPhone to become a Breathalyzer? Well - not yet, but we can fake it. 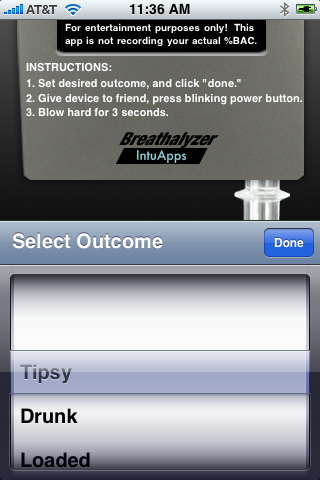 We recently built, under the IntuApps brand, the Breathalyzer Test for the iPhone. It is basically a really life like hoax. This is how it works. Step 1: Set the hoax on your friend, so set how drunk you want them to be. It has a random setting also... Hit Done. Step 2: Give the iPhone to your friend and tell him to hit the green blinking button in the middle of the device and then breath a slow, steady blow into the microphone. Step 3: The results will come back with what you set and your friend will laugh. Just press the green button again to start the test again. 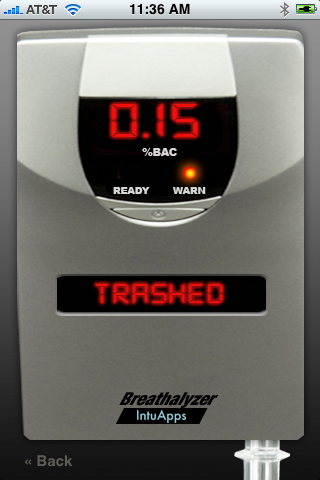 This has sound effects, it really detects breathing and it is really convincing. 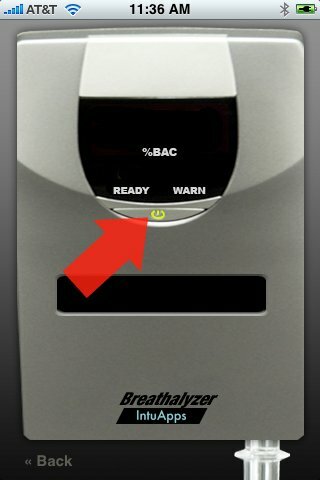 There is another test like this out there now (launched the same day) but it doesn't detect breathing in the mic, it doesn't have sound effects either. Get it for 99 cents at iTunes.